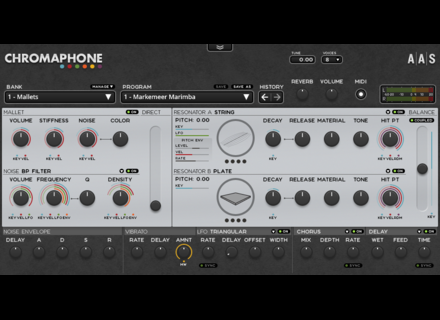 Chromaphone, Physical modelling virtual synthesizer from Applied Acoustics Systems. Applied Acoustics Systems has updated Chromaphone. 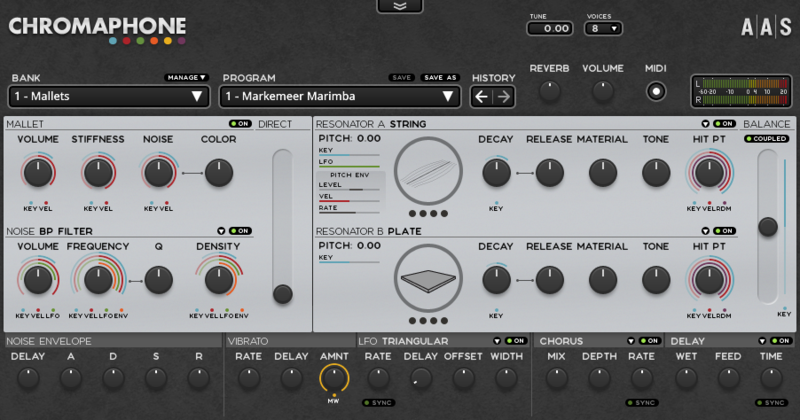 Added native 64-bit VST plug-in on Mac OS X. Visit www.applied-acoustics.com/chromaphone/overview for more details. Cableguys Curve 2 Cableguys has announced Curve 2 and that if you buy Curve 1 now you'll get version 2 for free.